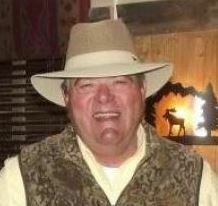 Butch Forsyth grew up outside Roundup, and graduated from Miles City Custer County HS in 1970. He passed away in Billings. He is survived by his wife, Kolleen, Daughters Buffy and Rick Stiles and Chantelle and Tyson Buhre, plus 5 grandchildren: Madison, Krueger, Brooklyn, Konnor, Kiara. Join us for his memorial at Cremation and Funeral Gallery in Billings, 29 8th Street West, at 2:00 on Saturday, June 2, 2018. Memorials to Riverstone Hospice please.